Here’s an update on my latest trades for the week ending on November 10, 2017. 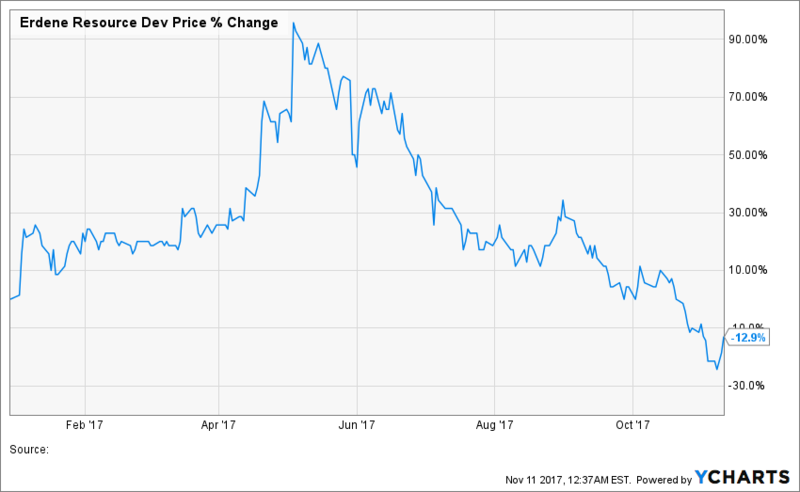 Over the past few months, I have been dollar-cost averaging (DCA) down into adding more shares of Erdene Resources (ERD.TO/ERDCF), which is a badly beaten up gold developer. 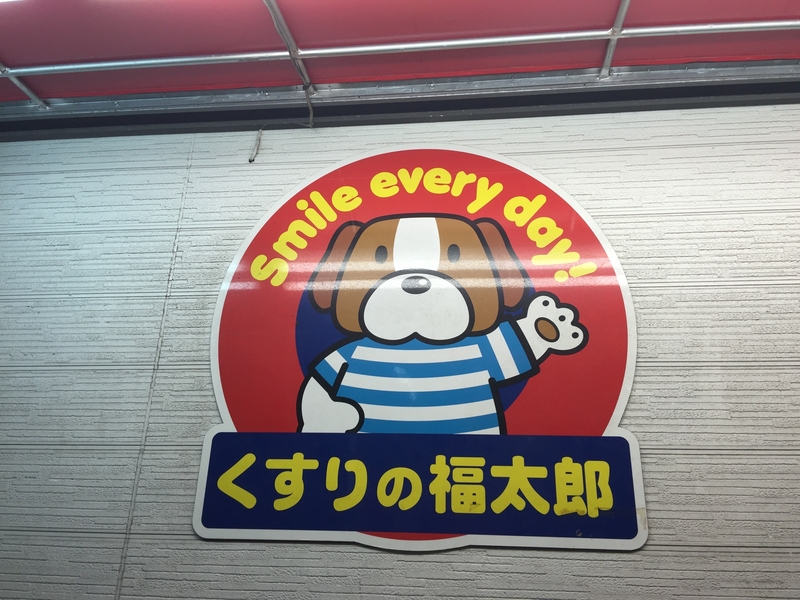 It’s not easy, but I am trying my darnedest to do that! 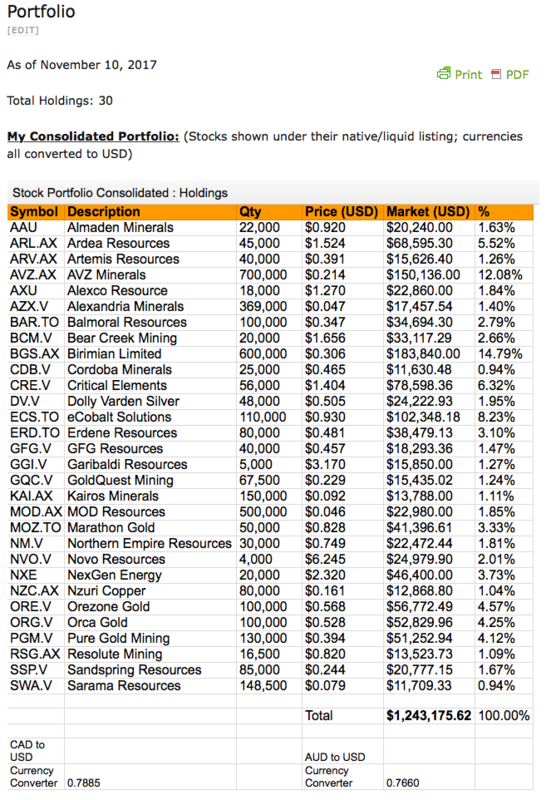 Last week, I mentioned that I was looking to add some more cobalt exposure to the portfolio, and as such I initiated a position in Auroch Minerals (AOU.AX). To my surprise, shares ripped much higher above my entry point (on no news), and almost immediately I was faced with the proposition of selling and booking a quick gain. Since this story is still very early days (and I don’t have that much conviction just yet), I used this most recent period of strength to sell into a rally. Assays are due in the next few weeks, so if the share price can stay weak leading up to that event, I may look to get back in. But if I can’t get in at a favorable price again (A$0.18-0.22/share range) before assays are released, no worries, I won’t mind paying more after the facts are out (if the results justify a higher valuation). 2017 has been a great year so far for many lithium and cobalt investors. 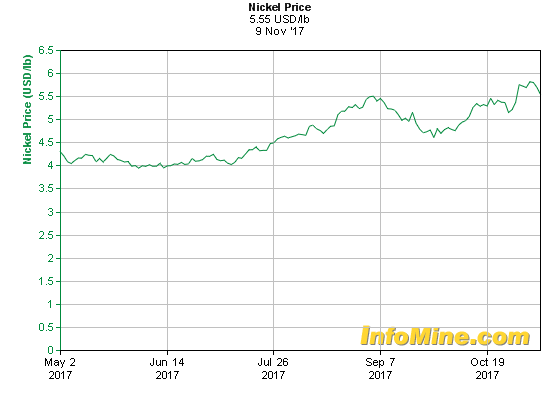 Nickel has started to gain traction as well, as evident by the growing interest in stories such as Garibaldi Resources (GGI.V/GGIFF). Lost in the mix is Balmoral Resources (BAR.TO/BALMF), a gold/nickel explorer/developer located in Quebec (prime jurisdiction for mining). 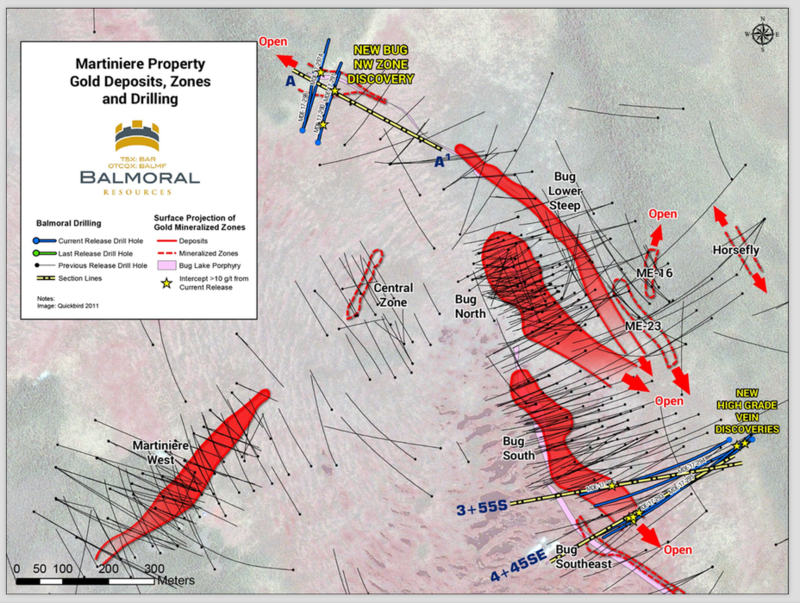 I have been reminded that Balmoral also controls a high grade nickel sulphide deposit! 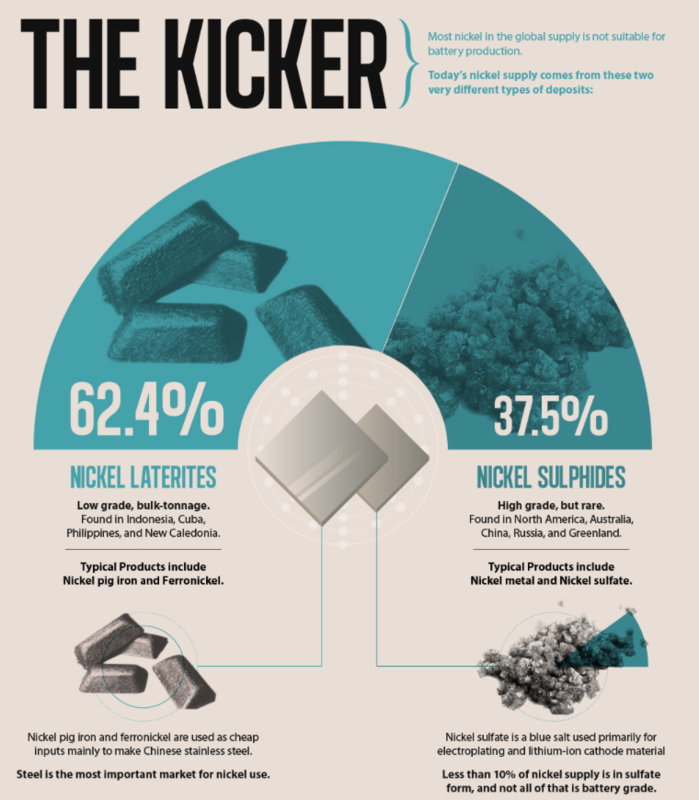 Yes, that’s right, nickel sulphide (which are rare) NOT nickel laterite! With a 0.5% cut-off grade, Grasset already has 10.2 Mt @ 1.1% NiEq grade… Not an enormous initial resource by any means, but a good start! 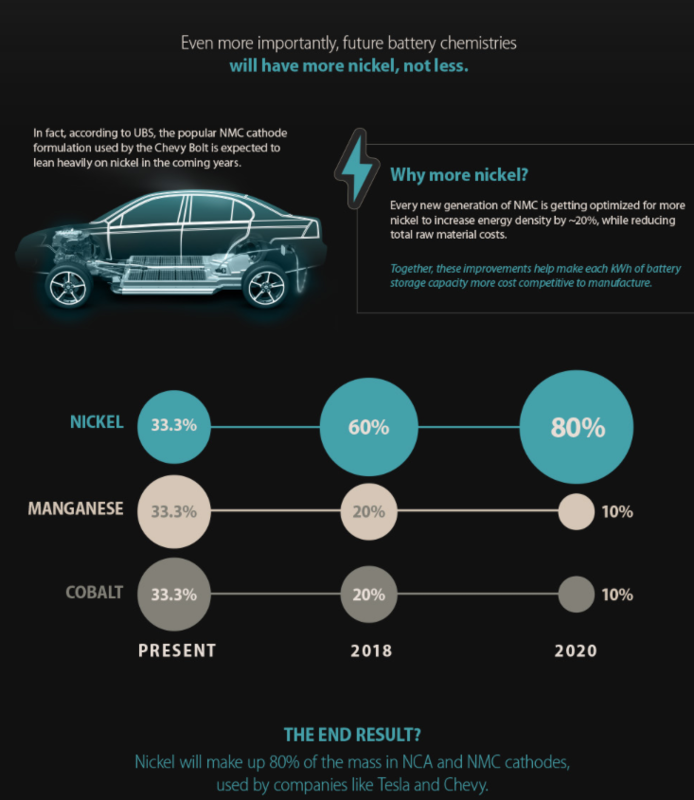 Clean energy has really started to boom this year (lithium and cobalt stocks in particular), and I think it’s only a matter of time before nickel catches a strong bid and investors start piling on in… In the future, cathode formulas will likely be re-worked to 80/10/10 configuration (see below). Garibaldi Resources (GGI.V/GGIFF) is up 2,810%. Giga Metals (GIGA.V/HNCKF) is up 541.7%. Balmoral Resources (BAR.TO/BALMF) is down a painful -39.6%. Talk about BLAH for Balmoral, in comparison to some of its peer group… but clearly interest for nickel stories is there! Seriously, with nickel heating up, can you imagine how the share price of BAR.TO/BALMF would respond to news of 7.5m at 10.5% Ni in today’s environment?!? 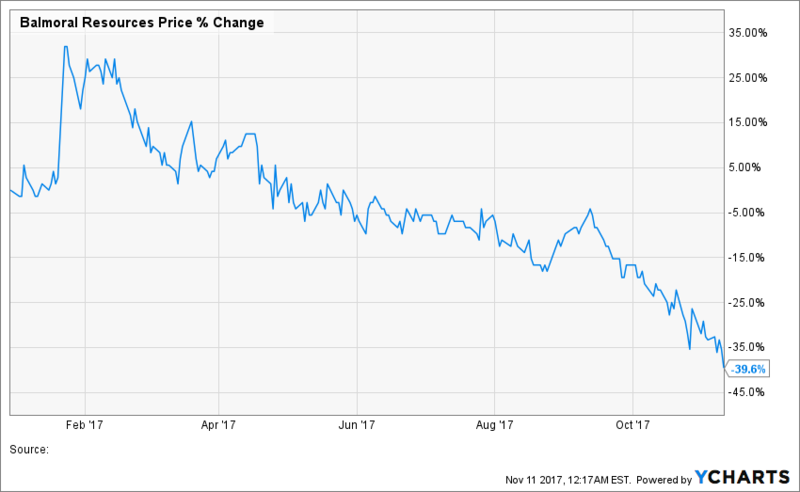 Balmoral management is no doubt well aware of the current depressed share price situation, so I would imagine lots of news flow will hit the wire in the future to remind the market about their Grasset asset (and hopefully the company’s plans to start aggressively drilling it again in 2018!). Anyway, at ~C$60 million market cap and ~C$11 million cash in the bank (with a recent financing completed), the company looks like a damn good deal to me at these low prices! The exploration potential that exists with Grasset is why I loaded up on shares of Balmoral this week… but despite that, we really shouldn’t forget about the high-grade gold, which is no slouch, and in theory should command a significant premium (since we are talking about Quebec here) in a decent precious metals market. Not too much activity this week; I went deep value hunting by picking up shares of Erdene Resources and Balmoral Resources. Also, I booked some quick short-term profits by trading out of Auroch Minerals. North American tax selling usually last til 2nd week of december, no fear of further slides ? 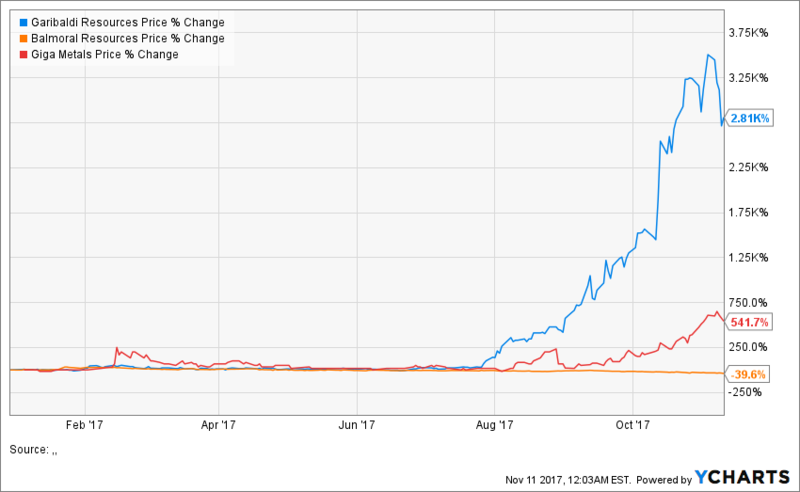 So, I guess when I find good value (and since I’m not really a short-term swing trader), I don’t mind buying and just waiting… With lithium stocks, it took over 1 full year for many of them to turn, but when they did it made everything worthwhile… I’m prepared to be more patient with beta plays. Hope that helps explain my own thoughts. See you’re also in NZC like i am.. Great story just developing. (1) Re the Co pricing – this is modelled as if the Co are treated as low paying credits to the Cu primary revenue stream. As you can see, the input numbers are relatively low. My understanding is that this is due to the consultancy’s requirement that they have an Offtake figure from a third party. NZC provided a draft agreement that they keep being asked to sign (which they won’t) from an Offtake party 400km away. NZC believe that they may be able to get much better terms from one of two plants that are being built as toll treatment facilities only 80km away. As you state, if the model showed Co at $28 lb vs. $18 lb it would materially improve the numbers … not to mention if Co increased further in price which, despite battery makers moving to more Ni and less Co, is entirely possible. (2) Secondly, I was told that if NZC can do a deal with the plants being built 320km closer to the project this will reduce logistics costs by about US$0.25 lb of Cu from US$1.35 lb to US$1.10 lb. Over the 7 year LOM for Stage 1, I work this out to be an additional US$70m as well. (3) This is only stage one. During this stage, Co only ore with a grade of 0.62% Co will be treated as “waste” and stockpiled on-site for possible Stage 2 leaching. Thus, the mining costs will all be absorbed in Stage 1 whilst revenue (lots of it) will be released in Stage 2 which I think is very likely to occur. 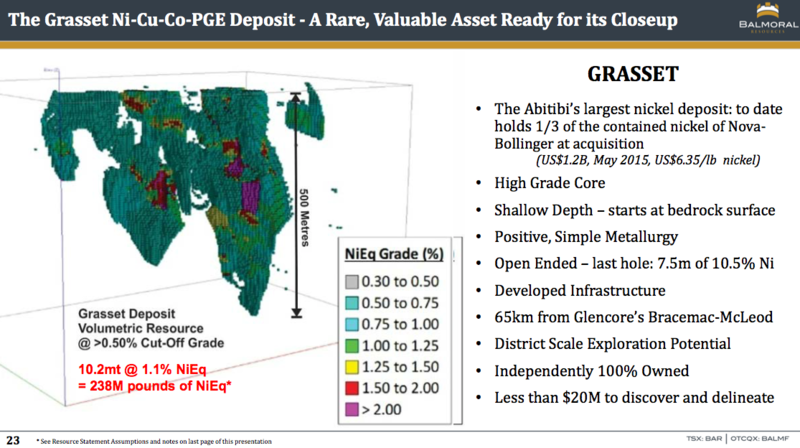 (4) There are lots of both Cu and Co prospects and discoveries on NZC’s tenements proximate to the project. IMO, this ore once defined will add to LOM. I would also anticipate that in time, as cash builds, NZC will increase the value add processing on-site to capture more revenue. (5) Then of course there is the lottery ticket drilling that may or may not discover a Kakula analogue. DRC obviously presents risks but I appreciate Sam giving me/ us the heads up on this as I think it is worth the risk. Far better, IMO, to buy a $40m company with a great Cu-Co project, low capex, monster IRR, <12 months to production from FID, huge Co grades, excellent exploration prospects, vs. say AUZ with a MC of $344m … that is likely several years away from production (at best) and likely to require +$500m in capex and dilution …. Thanks for sharing those details! 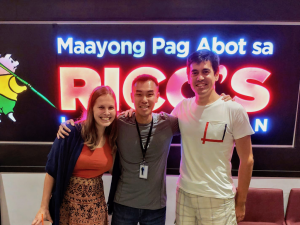 Appreciate the insights! 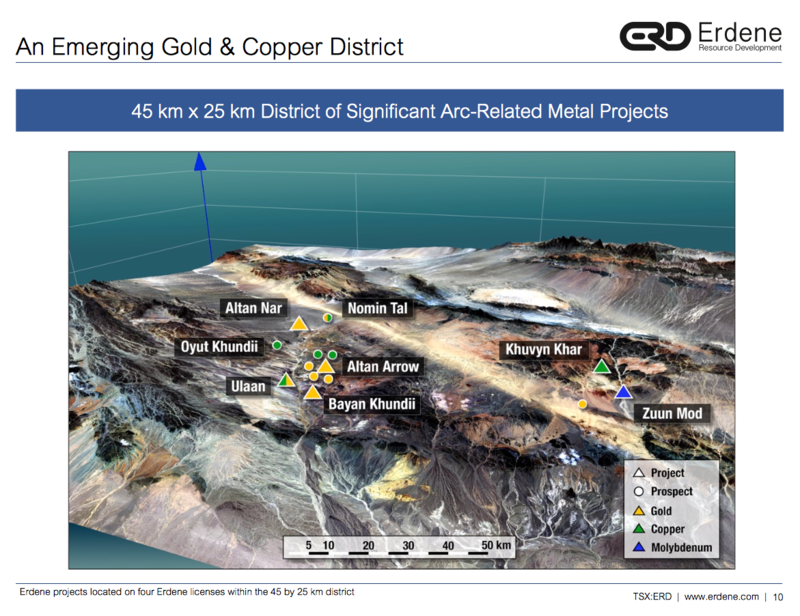 I really like Nzuri Copper and believe it will be a winner in the future. Great project, strong economics, and I trust management to deliver here. Yeah, to add one point — Even with Congo risks, this project is way way way more de-risked and has higher odds of actually making it to production than many high flying juniors right now that are running off of hype more than sound fundamentals. In that sense, I believe NZC actually presents less risk (Congo and all)… It should re-rate hard like many lithiums as they securing financing, offtakes, and progress towards construction phase. I expect the bulk of the re-rate to occur as we inch closer to ramp up phase. Great add, lots of value here with Balmoral at these low prices! From an engineering stand point, if cobalt prices do go up to a point where it’s uneconomical, do you think people will engineer around it, and create/design something to replace cobalt, leaving cobalt obsolete? I mean they already have other types of battery. This is probably an extreme case, but if cost will inhibit the proliferation of EVs and clean energy, then people will work around it. “Anything that can happen, will happen” As for me, I like to pursue the path of least resistance. Still, suppy/demand so imbalanced, cobalt will only benefit in that scenario… In other words, if there is a desperate need to shift to a reduce cobalt content chemistry, it probably means it’s b/c the price of cobalt has skyrocketed so much… which would be good for cobalt investors. 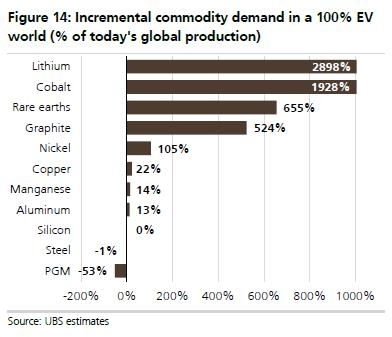 Either way, cobalt growth will be spectacular and the commodity will be in high demand short supply for the foreseeable future.